Highly experienced Director of Photography (DOP) available with Canon C300 MKII kit. 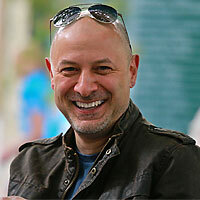 Peter Demetris has been shooting video & still photography for over 20 years. He has also worked as a director on both single and multi-camera broadcast shoots and is skilled at lighting. If you want to guarantee a great result on your next production book Peter along with his C300 MK II to ensure your film is shot to the highest standards. Additional camera kit items charged at the daily rental rate.